The Athletic world is facing a great challenge as American sprinter Tyson Gay, who is the fastest man in the world this year, has tested positive for an unidentified substance and former world record-holder Asafa Powell was among five Jamaican athletes to have failed drugs tests for a banned stimulant. 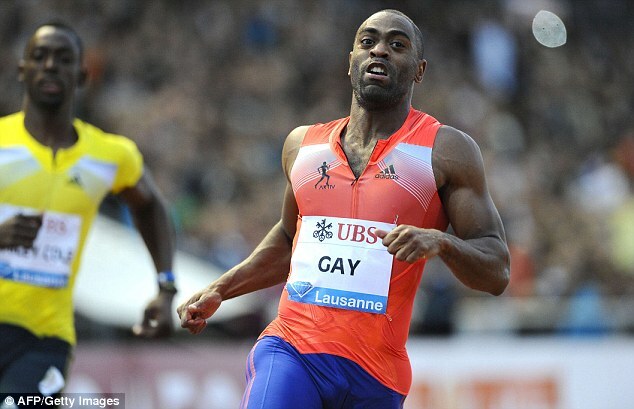 Thirty years old Gay, who the second fastest man of all time, has run the three quickest 100m times of 2013, but tested positive for an unnamed substance at an out-of-competition test on May 16. The triple world champion will have his ‘B’ sample tested this week, but has already pulled out of the USA’s World Championships team and Friday’s Diamond League meeting in Monaco. Gay said: ‘I don’t have a sabotage story. I put my trust in someone and was let down. ‘I don’t have anything to say to make this seem like it was a mistake or it was on USADA’s (United States Anti-Doping Agency) hands, someone playing games. I don’t have any of those stories. Word record holder, Usain Bolt, is not implicated in the scandal according to his agent, Ricky Simms while Olympic relay gold medallist Sherone Simpson confirmed she had tested positive for oxilofrine at Jamaica’s national trials last month. 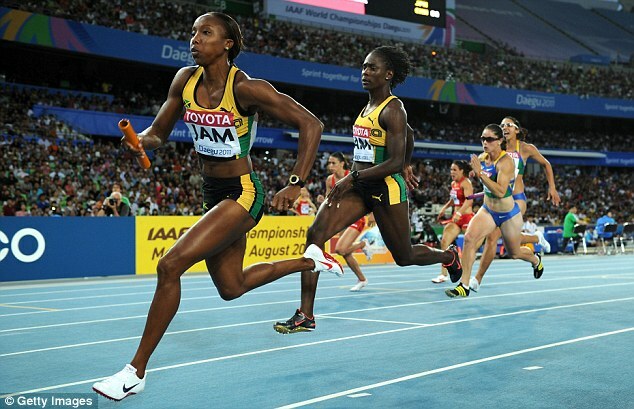 On a dark day for athletics, it emerged Powell was one of five Jamaican athletes to have failed tests. Powell, Simpson and Carter are coached by Stephen Francis at the MVP Track and Field Club and the two confirmed failed tests relate to banned stimulant oxilofrine. Two athletes who compete in field events, including a junior, are also understood to be implicated. Powell and Simpson both insisted they had not taken the drug intentionally, with sources suggesting it was part of a supplement introduced to their training group. 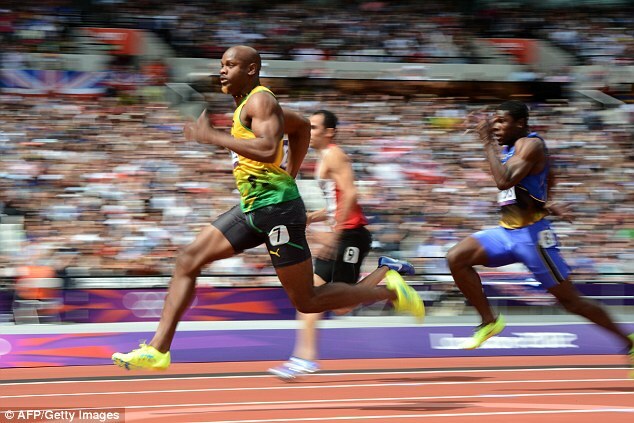 But if their ‘B’ samples back up the findings of the ‘A’ samples, they will face two-year bans and may never run again. Powell, who is thirty year of of age said: ‘A sample I gave this year has returned “adverse findings”. The substance oxilofrine was found, which is considered by the authorities to be a banned stimulant. I have never knowingly or wilfully taken any supplements or substances that break any rules. ‘I am not now — nor have I ever been — a cheat. My team has launched an investigation and we are cooperating with relevant agencies and law enforcement authorities to discover how the substance got in my system. ‘This result has left me devastated. I am reeling from this genuinely surprising result. I accept the consequences. My fault, however, is not cheating but not being more vigilant. A member of Powell’s support team was reportedly detained by Italian law enforcement officers last night after a property in Italy was raided. It is believed the trainer provided the sprinter with supplements that could have contributed to the positive test. Simpson, 28, also took responsibility. ‘As an athlete, I know I am responsible for whatever goes into my body,’ she said. This is the biggest crisis to hit athletics since the BALCO scandal at the turn of the century, when a number of American athletes, including Olympic champion Marion Jones, were found to be taking banned substances. Veronica Campbell-Brown, a friend of Gay and the world 200m champion, was suspended after a positive test for a banned masking agent in June.